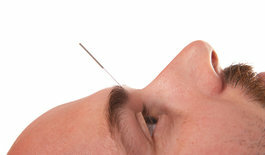 The Point of Acupuncture – one point at a time. This blog series will address our understanding of handful of the most special acupuncture points, one by one, both in a historical context of oriental philosophy, and also the evidence shown by science to date on why and how each point may be working therapeutically. We have discussed acupuncture mechanism before in general ways (see the facia connection), but this is more one point at at time. Ancient oriental manuscripts document many hundreds of acupoints on the body – points that when engaged with a fine acupuncture needle have therapeutic impact. In any traditional acupuncture school we learn a fairly standard 300+ points, yet despite the many separate systems of acupuncture over the centuries, only a small handful of points stand out over the others to have real notoriety. These special points tend to be near transitions in the arms and legs, such as above or below joints, and between muscles or important connective tissue transitions that link into a system of special gooey highways throughout the body (http://citeseerx.ist.psu.edu/viewdoc/download?doi=10.1.1.328.4702&rep=rep1&type=pdf). These specialized fibro-elastic networks (called fascia) represent a continuous matrix — the protective bedding in the trenches between things. It dynamically holds and looks after our nerves and blood and lymphatic vessels so that they can operate despite the stresses of bending joints and contraction and tug of muscles, tendons and ligaments. Imagine the enormous technical problem at hand – unlike the static plumbing and wiring protected by fixed conduits in a house — the living, sensitive, delicate vessels and nerves of the body must adapt to stretch and pinching and pressures of a moving body! It is this connective tissue “between”, where we put acupuncture needles; here special nodes along the fascial planes (acupuncture meridians) that represent therapeutic sweet spots (acupuncture points or just “acupoints”). 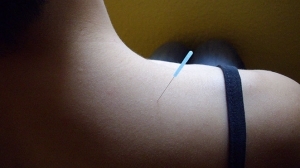 (important note of clarification: one branch of acupuncture not in these connective tissue meridians considered by some medical people to NOT to be acupuncture and called intramuscular stimulation (IMS), is actually called “ashi” needling in oriental medicine (translated as “ouch there!”), and is only a small subset of techniques that can be performed with a filiform needle. We understand this as a muscle motor target, which is irritated by the needle to cause a muscle release or twitch). Almost a thousand years ago, a particular group of 12 points, known as by the “Song of the Twelve Points Shining Bright as the Starry Sky”, more or less documented many of the points that have continued to be known as the most effective today, both in tradition and scientific scrutiny. Interestingly and remarkably, under the advancements of modern scientific times, the acupoints shown to be superior are mostly among the same few points revealed by ancient discovery. Of course acupuncture is more than just putting a needle into an acupoint to fix something; the nature of the needle and how it is used, when it is used and in which combinations are all variables that are part of both tradition and modern examination critical to the practice and efficacy of acupuncture. Regardless, learning about the points just one at a time it is a good way in for the beginner to understand acupuncture, from both tradition and scientific ways of knowing. The point of acupuncture: Gall bladder 21 (the “shoulder well”). The first point we will feature on the top of the trapezius muscle on your shoulder, and is called “Shoulder well” by the traditional naming system, and more recently gallbladder #21, or just Gb21. The main indication for this point is tightness in the shoulder, neck and upper back. Traditionally it is described as a meeting point of 3 yang channels or and excess of “yang” energy shows up as an excessive tightness in this area. Traditional thinking explains this tightness as a stagnation of the excessive “Qi” which could an uprising due to frustration, anger or emotional stress and accumulating in the shoulder area because of the neck narrowing blocks the flow of the Qi. It is important to mention here that we are people of science primarily at this clinic, and any health care needs to be based on the scientific approach. The word Qi refers to anything energetic, so really doesn’t mean anything specific makes its use in modern scientific times very problematic. However, it can be redefined in modern times with the many thousands of science words and concepts we know have to describe the structure and function of the body. Research shows that acupuncture likely works through reflex reactions that regulate neurotransmitters and hormones….factors that regulate muscle and organ function, inflammation and healing. 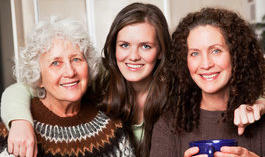 These also influence the way we perceive and respond to pain and stress at the physiological and psychological levels. Here the effects of acupuncture on unblocking the flow of “Qi” could be related to regulating the autonomic nervous system, composed of the fight or flight side (sympathetic via the neurotransmitter adrenaline), and the rest and restore side (parasympathetic via the neurotransmitter acetyl choline). The ancient oriental doctors believed emotions originated from the organs, and the liver/gallbladder organs specifically controlled the smooth flow of metabolic “Qi” (which science agrees with), and emotional “Qi” (which science cannot rationalize). Ironically, traditional acupuncture did not identify any real function for the brain, rather they thought it was filled with marrow coming up from the bones – a good guess, since it sort of looks the same. The mind was described to be housed in the organs where we feel the emotional impact. Now we know differently of course, but still, modern science has found common ground with these ancient assumptions, and we understand better the physiological mechanisms of the mind-body connection — why we have a “gut feeling” about something, or why someone can be perceived as a pain in the neck! 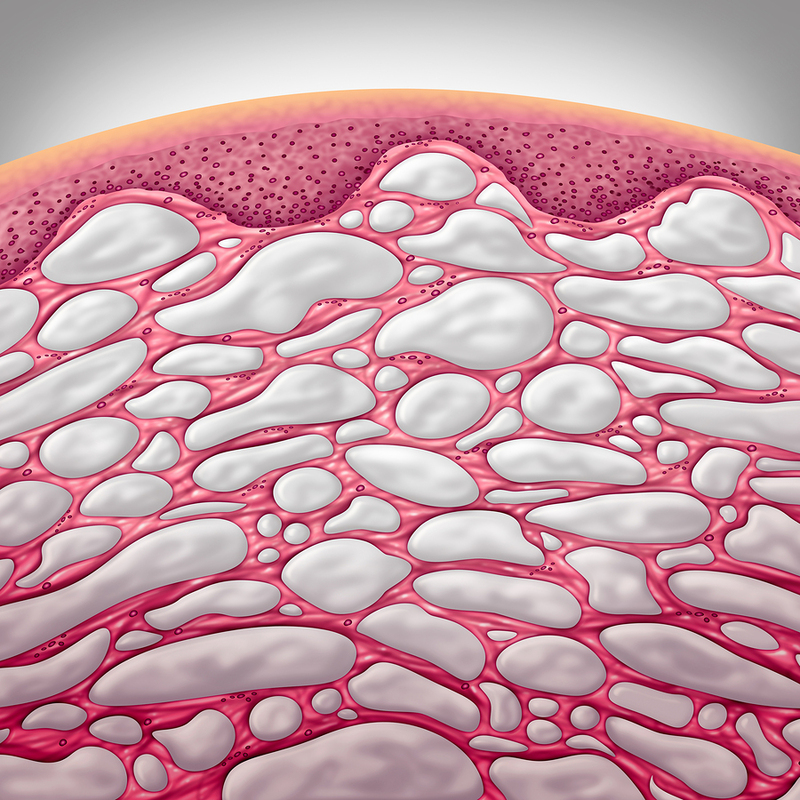 This organ-body connection is understandable in a medical way. Medically documented “viscero-somatic” reflexes refer to the way organ and body are connected to show distress; like heart pain being a pain along the left arm (down the oriental heart meridian! ), or after surgery of the liver or gallbladder, shoulder pain right at the gallbladder 21 on the gallbladder meridian! Today, modern science sees the organs communicate through the body perception more or less one way, where the organ reveals itself in trouble by pain in the arm/leg, whereas oriental medicine saw the relationship was two way. 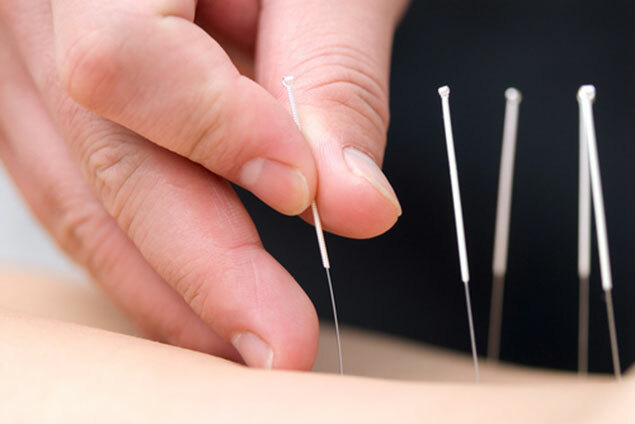 This is a critical difference, since it is the therapeutic basis of acupuncture, that you could stick a needle in the limb and get a therapeutic organ effect (i.e. put a needle in gallbladder 21 and get a change in the gallbladder). As we shall discuss in a bit, science may not disagree here completely. 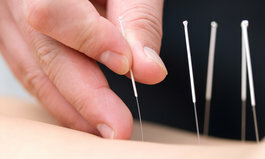 Science has revealed there may not be a 1 to 1 specific connection or correspondence the other way from body to organ, but research shows that needling the body in certain spots can indeed affect the nervous and hormone systems in an indirect in general way, which in turn can affect the organs to improve digestion, sleep, fertility, muscle tension etc. This relationship between anger/stress and tightness in the neck-shoulder area was observed for centuries. So, GB-21 was traditionally used to descend the Qi and relieve stress and tension accumulated in the upper part of the body. This point also helps to speed up the delivery and promotes milk production in women; it is also known as a great induction point to help with delayed birth of a baby once a woman has reached term in her pregnancy. This particular point is felt by many as a “knot” that is resistant to working out with massage or pressure, making your whole neck and shoulder prone to tightness. In fact, physiotherapists understand that excessive contraction of this muscle affects not only shoulder itself causing pain and discomfort, but also inhibits other shoulder muscles to properly work, such as pectoralis group (the breast muscle used in a push-up) and the small but critical supraspinatus muscle (the rotator cuff muscle we most often injure). From a medical perspective Gb21 point is a motor point controlling the trapezius muscle (the muscle on top of your shoulder connected to the back of your head) — here the nerve controlling this muscle can be stimulated and “reset” by a pressure release technique in massage, or even better, through direct and subtle irritation with a needle. We often stimulate the needle by adding a small pulsing electric current to this point, much like TENS is used in physiotherapy, but with much more precision and efficacy. Clinically we observe that needling of GB21 on the trapezius muscle affects indirectly both the important supraspinatus and pectoralis major muscles to function better. 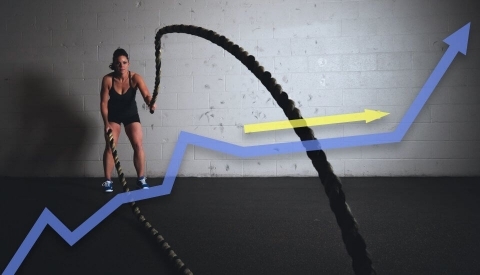 They become less inhibited to do their share of work and are stronger after the release of the trapezius! Traditionally, acupuncture at GB21 is used to improve milk production in lactating women, which can be explained due to an improved blood flow locally in the breast area (since the muscles there are relaxed). Also, the relief of muscular tension feels great allowing one to breathe easier….a relaxed woman, not in pain and breathing better, can let down milk better! Also, the point of acupuncture her is for induction of labour. This particular effect of acupuncture is well documented in scientific research! (We assist many women into labour each month at our clinic). Both the normal process of milk let down or uterus contraction require oxytocin, likely both inhibited by the pain of neck tension. The top of the shoulder, where GB-21 is located is also an area dense in the number of intersecting nerves. The most important and prevalent ones are supraclavicular nerves (sensory) and accessory nerve (mixed but mostly motor control of muscles). 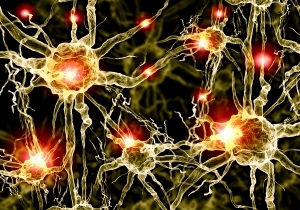 The accessory nerve interchanges fibres with the large cranial nerve (number 10), known as the vagus, probably the most important cranial nerve affecting bodily functions. It supplies the body and most organs with parasympathetic nerves, which control their rest and restore functions, opposite to the sympathetic nervous system supplied to the organs and body from the spinal cord, controlling the fight and flight activity. The pharyngeal and laryngeal branches of the vagus have muscle impact for mouth breathing and throat opening to breathe, and may explain why ancients described Gb21 for speech improvement traditionally. All these disorders, in one way or another, in combination with other acupoints, have been described to be treated with acupuncture at Gb21. 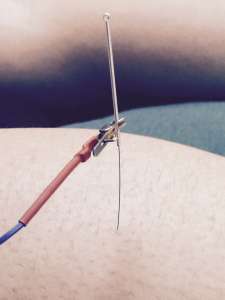 Gb21 could be considered then as a subtle and convenient and less invasive means of VNS, especially when we stimulate the needle at this point with electricity, as we almost always do when a client comes in with a neck muscle tension; for tension headaches, for lactation support, to induce labour and much more. In modern times we now evolve our knowledge of acupuncture differently compared to the slow and steady way of centuries past. Now, we have extensive literacy and standardized formal training systems, standard scientific research methods, easy access to research outcomes, internet data bases and communication systems, travel and organized non-exclusive conferences to discuss theories and research findings – all these have improved the way we can know the body. The traditional acupuncture systems were more based on a culture of obedience to and apprenticeship under masters. Now we are more open to debate on the point of acupuncture. The resolution of conflict of opinions and theories is not through deference to masters, but rather through a challenging and rigorous process to better understand mechanism. The point of acupuncture and why we do it is based on a system that is more evolved and unbiased empirical using evidence based inquiry. Stay tuned for more on “the point of acupuncture”…..next month we will investigate another very famous acupuncture point, from both traditional and scientific perspectives!